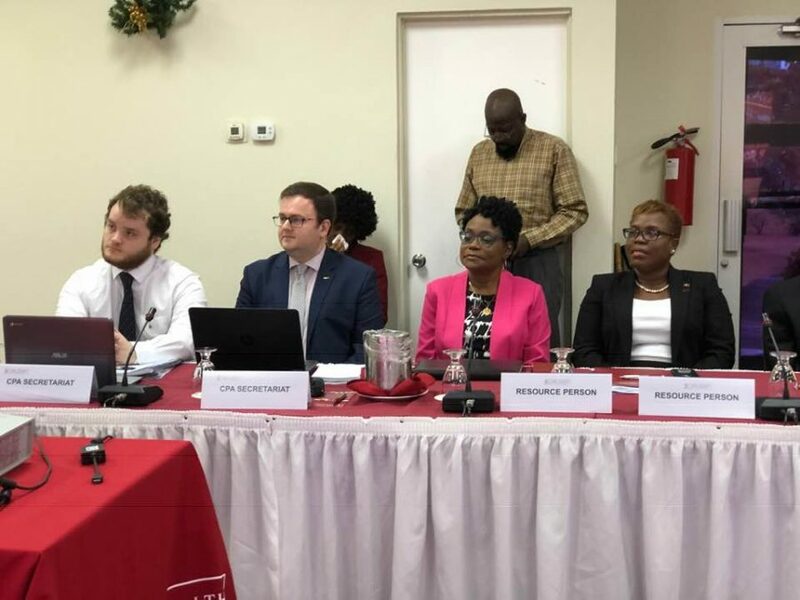 “The role of members of Parliament including the role of backbenchers” and “Political Parties Organisation within Parliament” are among topics down for discussion at a 2-day post-election seminar for all members of the Lower and Upper Houses of Parliament which concludes in Grenada on Thursday. Organised in collaboration with the Commonwealth Parliamentary Association (CPA), the objectives of the seminar are aimed at building the capacity of newly elected members of both Houses of Parliament, so they function efficiently and effectively in the performance of their democratic duties. “The programme aims to disseminate information on diverse good practices in Commonwealth parliaments and to promote an understanding of the way parliamentary procedures and practices can embed good governance into a system,” said Adrian Francis, Clerk of Parliament during Wednesday’s opening ceremony. Chester Humphrey, President of the Senate or Upper House, explained to members that despite only one political organisation represented in the House of Representatives or the Lower House, there are active independent voices within the Parliament in the Senate. 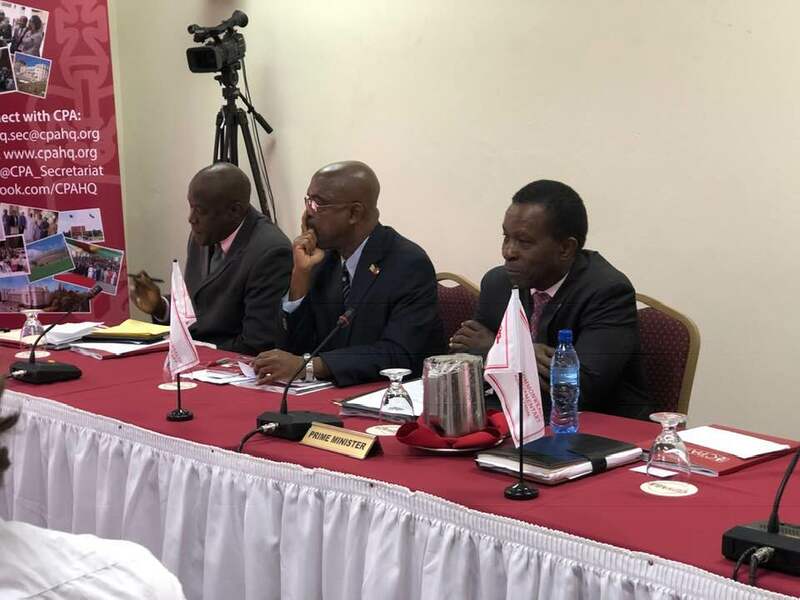 “Grenada provides a unique experiment in parliamentary democracy and this seminar will provide members with an opportunity to become more effective in promoting democratic principles and good governance. Members will become more confident and better able to discharge their parliamentary and constituency responsibilities,” he said. Officially opened by Prime Minister Dr Keith Mitchell who became a parliamentarian in 1984, he said that upon his entry to the parliament he did not have the opportunity for formal parliamentary education. He encouraged parliamentarians, especially the newly elected or appointed, to sharpen their skills. “Your attendance today is a clear indication that Members of Parliament are hungry for information to provide leadership in the country. It is an opportunity to sharpen your skills as you become better acquainted with your role and expectation,” he said. 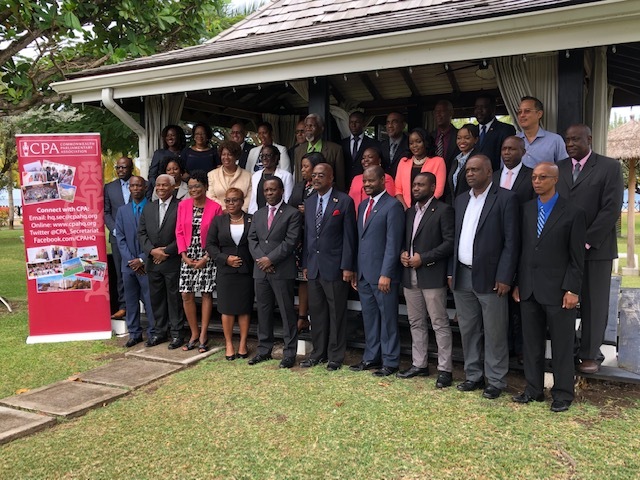 The resource persons at the seminar are from the CPA along with Alincia Williams-Grant, President of the Senate in Antigua and Barbuda and Jacqui Sampson-Meiguel, Senior Clerk at the Trinidad and Tobago Parliament. Other topics in the 7-session seminar include Women in Parliament and Institutional aspects of the Parliamentary system including the relationship between the Legislature, the Executive and the Judiciary. Grenada last held a general election in March 2018. Forty-five candidates representing 5 political parties and independent candidates contested to become elected to the 15-member Parliament. At the conclusion, the ruling New National Party returned to office capturing all the seats in the House of Representatives. The 13-member Senate has 7 appointed Government senators; 3 independents representing the Business, labour Movement and Farmers and in accordance with the constitution 3 appointed by Governor General, Dame Cecile La Grenade.